For most lawyers, the question of whether or not to take >small claims cases will inevitably come up. Many "successful" lawyers will simply dismiss these cases as being a waste of time. By definition, these small-ticket cases simply represent potential opportunity costs of bigger and more monied cases. But small claims bring value in place of the money they don't. These cases can be a good way for attorneys to build up valuable courtroom experience while providing a service that many clients wouldn't otherwise be able to afford. Mike Vraa from Lawyerist collected a number of points that attorneys should consider when taking on small claims cases. More Courtroom Experience: Brent Gordon Esq., from Florida explains that lawyers who take on small claims cases are more likely to see a case from start to finish because of the lower amount in controversy. Because the amount is so low, parties are more likely to take the risk of litigation. This means that lawyers will get to be exposed to more stages of an entire lawsuit. Additionally, the structure of the case is slightly different as all conversation goes through the judge which will broaden an attorney's experiences even more. Food on the Table: Solo practitioners who first start out have no clients and are looking to eat. Vraa observes that although small claims is not a viable business model for most, small claims can be a means of earning some extra money. Charge a small reasonable amount to prepare a client for trial and that could easily build to significant earnings within a month. Barriers to Entry Are Low: Vraa also points out that unlike certain areas of the law, becoming pretty well versed in each state's small claims court is significantly easier than taking a certifying test in order to say that one is specialized in a particular area of law. You Must Be Punctual: For some reason, lawyers are notoriously late by several minutes to pre-arranged appointments. Doing so with small claims cases runs the high risk that a default judgment will be entered against your client which could mean another cause of action entirely. If you're preparing your client for pro se, you should be prepared to let her know all of the nuances of your local court. 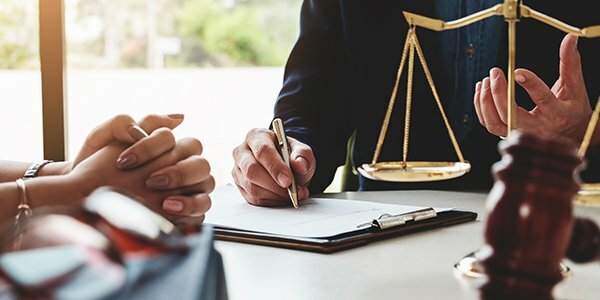 Most Cases Are Just Not Worth It: There are some claims that are simply not worth anyone's time -- including the client's. If you want to help a client recover $50 in damages, that's your perogative, but the court will almost just as likely roll its eyes under the doctrine de minimus non-curat lex. In the end, small claims is an excellent way for newly minted attorneys to get their feet wet in real courtroom experience. But we hold out hope that even highly successful attorneys who can boast corporate clients will also find the time to take on worthy small claims cases.